Hotel Alte Galerie, Berlin. Alte Galerie Hotel Berlin. 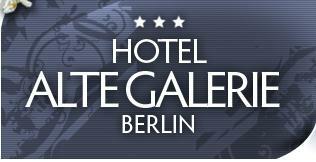 The Alte Galerie Hotel is a marvellous structure located in the heart of Berlin, ideal destination for every kind of traveller, both for tourists or business men. This calm and welcoming hotel enjoys a splendid situation in the centre of West Berlin located in Leibnizstrasse, a tranquil and lovely lateral street of Kurfurstendamm. In the neighbourhood of the structure there are splendid places, like Walther-Benjamin-Platz, as well as some of the most interesting and visited places of the capital, including several commercial streets, optimal restaurants and cafes, several kind of shops, theatres, museums and exhibitions. The hotel enjoys welcoming and charming ambience, characterized by the classical style and taste of the last century and embellished with elegant elements and decorations, as well as antiques. 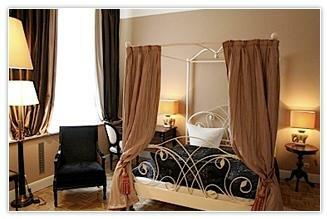 Here our guests can feel like in their home and will enjoy warm and familiar hospitality. Every morning a rich buffet breakfast is served, which is the best way to start your busy working day or amusing sightseeing day in the city. Moreover, our guests can easily move in the city, thanks to several busses, underground and regional railway located near the structure. Finally, if you arrive by car, you can comfortably leave it in the parking garage for a moderate additional pay.